Hello! Here's some stuff that's going on with me! 1) The talk for the not too high not too low exhibit went well! I forgot to record it, but we did a very cool thing (apparently thought up by fellow exhibitor Lenora Yerkes ) at the end of the talk where we all wrote down cool comic and art related resources for people in the DC/MD/VA area. 2) I am an organizer for the DC area comic collective Square City Comics. You can find more about them here. We hold meetings at the Bier Baron (right off P Street, a few blocks from the Dupont Metro station) on the second Saturday of every month. The next one is coming up this Saturday (April 14th) from 4-6pm. You should drop by Fantom Comics (right around the corner form the meet up) then join us at the Bier Baron! And then that night I get a text from my buddy Jarad Greene that Everything's Fine: And On And On received honorable mention for a Best Floppy DINKY Award. So I wasn't nominated out right, but it's still really, really cool. DINK is a Denver independent comics convention that is a few years old but from what I hear it's getting better and better! Maybe one day I'll be able to go to it and see my buddy Emily R Gillis (who is also the founder of Square City Comics). So the moral of this story is "Shut up Anna, you're comics are getting better and you are making progress!" 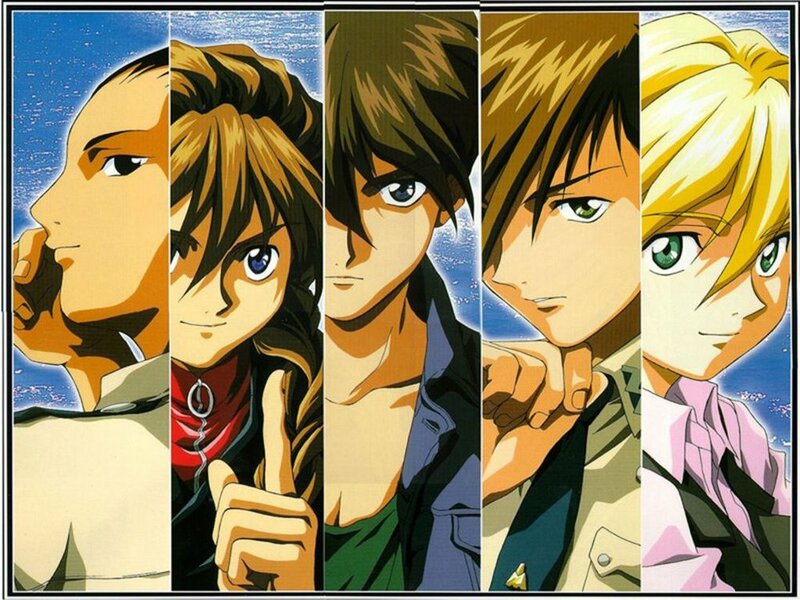 4) Finally, unrelated to comics, I was a guest on Let's Talk About Zechs, a Gundam Wing recap podcast. It was a lot of fun, and I interrupt everyone all of the time. Listen to it on Soundcloud (which can be found here), Itunes, of Spotify.